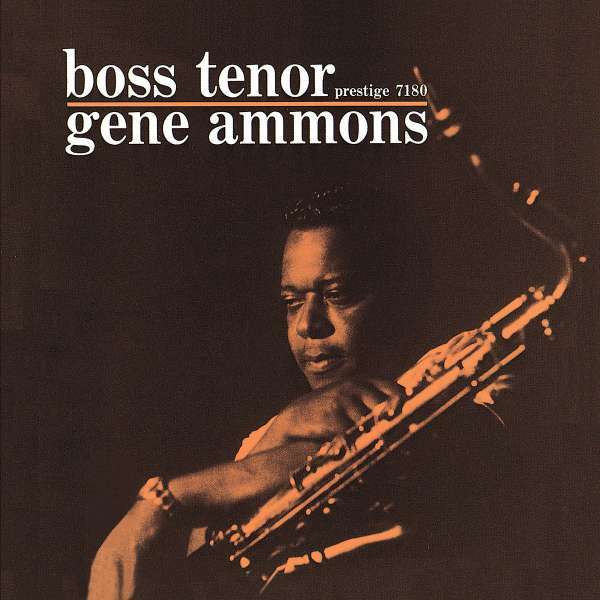 Der Artikel Gene Ammons (1925-1974): Boss Tenor wurde in den Warenkorb gelegt. 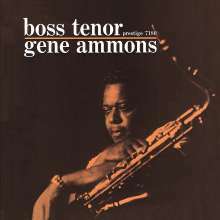 Gene Ammons enjoyed two stretches of popularity and commerciality in his career, justice having finally graced him and his talent after so many years of punishment in the last half of the Sixties. He was one of those many musicians who found out about heroin the hard way, and after he had become addicted there was the additional punishment of a 10-to-12-year prison stretch, courtesy of the State of Illinois, to endure. He was released in 1969 after serving seven years, and although there was the gratification of having an audience still waiting for him after all that time, there was still the frustration of being barred from making professional appearances in Manhattan jazz clubs for several months—a throwback to the iniquitous cabaret card system which had supposedly been disbanded. Ammons was born in Chicago in 1925, the son of famed boogie-woogie piano stylist Alert Ammons. At the ago of 18, Gene went out on the road with the Chicago trumpet player King Kolax, but it was the gig in Billy Eckstine’s band from 1944-1947 that gave his name and reputation nationwide exposure. For the remainder of the 1950s, Gene led his own group, based as ever in Chicago and traveling to New York to record for Prestige. While at times his style showed the influence of Lester Young and at other times, when he delved into R&B, the more guttural influence of Coleman Hawkins, in his tone and timbre Gene became his own man, easily distinguishable within a few measures of whatever tune he chose to explore. His music throughout his career drew from elements of R&B and the soul music that had exploded in his absence from the scene. But his recordings after his incarceration readily indicated that he was not passed by in the contemporary progression of popular black music. And while he occasionally availed himself of the opportunity to “live better electrically” by employing the varitone device, his ebullience in performance and adherence to the simple melodic and rhythmic roots of his music—those factors which set the body in motion— won him many new friends. Gene Ammons died on August 6, 1974. Eine wirklich gut remasterte Aufnahme eines Jazz-Klassikers. Und das zu einem ausgezeichneten Preis. Absolute Empfehlung!